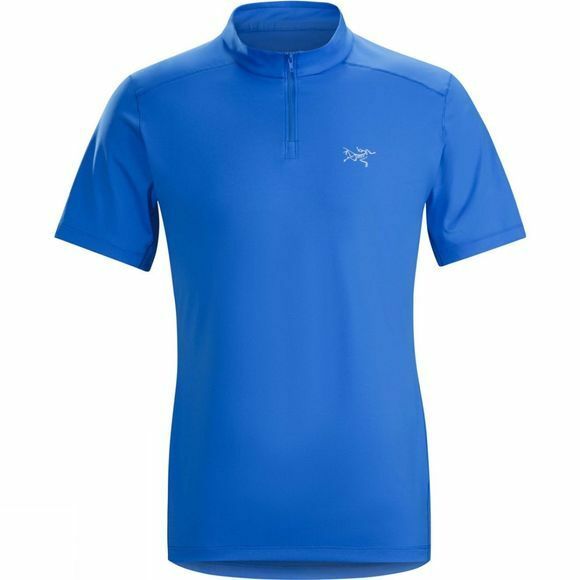 The Mens Phasic Evolution Zip Neck Top from Arcteryx is an advanced, lightweight top designed for long days in the hot sun. Made from a quick drying Phasic FL-X fabrci, it has excellent moisture management and wicking properties to keep the sweat off your skin so you stay feeling drier and more comfortable as you push yourself to new limits. It offers sun protection with a UPF 50+ rating and when you get too hot, simply undo the zip neck for increased airflow and comfort.